Agritechnica, the world’s largest fair of agricultural machinery and equipment, is preparing to host Turkish Machinery manufacturers. 108 Turkish companies in addition to the “Turkish Machinery (Machinery Exporters’ Association)” are participating in the fair, in which 2,900 participants from 52 countries will come together in Hannover, Germany. Agricultural machinery representatives are meeting in Hannover to discuss the smart agricultural machinery that will determine the future vision of agriculture, and the targets for a green future. Turkey’s machinery manufacturers will be the star of the fair, where the concepts of Green Future and Smart Technology will be addressed. 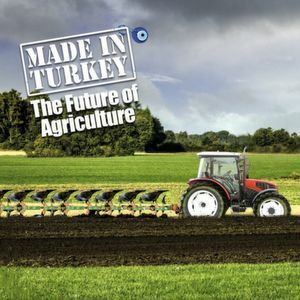 Turkey’s machinery manufacturers, who export agricultural machinery worth more than 750 million dollars to some 120 countries every year, will develop new partnerships in Hannover. This year “Turkish Machinery” will host its visitors at Hall 27, Stand D19. The attendees desiring to reach Turkish manufacturers and exporters in Agritechnica 2017 are invited to visit “Turkish Machinery” stand.